I love birthday presents and thought it would be fun to share some with you. May is the 5th month, so I'm giving away 5 items. 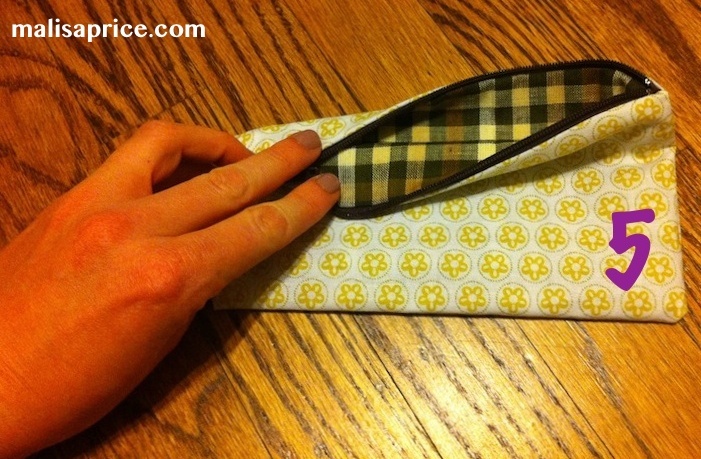 I sewed envelope pillow covers made for 18" (inch) pillows. I'm also giving away a yellow, zippered pouch that I bought from Mandie. This pouch would be perfect for accessories in your purse. The inside is brown flannel and it's about 7 1/2 inches wide by 4 1/2 inches tall. Yay for birthdays and I hope you win a prize! This promotion is open until Sunday, May 20th, at 8 pm PST. 5 winning numbers will be chosen with Random.org and will correspond with entries in the comments section of this post. Make sure to leave an email address when you comment, as that's how I'll notify the winner. Giveaway is open to U.S. residents only.